Off topic. Anything to say about the latest wingnut extremest Trump supporter going on rampage or is he another one of your heroes? It appears that poor little Sugarpants is upset that I went off-topic. Didn't think that I was off-topic, however, considering that I was merely responding to her sweet little post, which was entirely off-topic to begin with. Woodward is a member of the Atomwaffen Division, a neo-Nazi, white supremacist hate group that targets Jewish people, minorities, and the LGTBQ community. You're just pissed that there hasn't been any terrorism from Muslims lately. The suspect arrested in the death of University of Pennsylvania student Blaze Bernstein boasted about his Catholic faith and conservative political views on social media, reports said Friday. Samuel Woodward, 20, was charged with felony murder Wednesday. According to the Los Angeles Times, Woodward wrote more than a year ago on his ASKfm page if he were stranded on a tropical island, he would want a Bible and a Colt .45 with him. The topic is about religion and here we have a Trump worshiper who celebrates Hitler and ends up murdering a Jew. I really hate to be the one to burst your bubble, Princess, but there is nothing in your article stating that he is a "Trump worshiper". Do you have such an unrelenting need to lie that you do it even when proof of your lie is right here in black and white? On the bright side, this article may be a useful cautionary tale for you, as you are now aware of what might happen to you if you try to kiss a guy against his will. avowed neo-Nazi and a member of one of the most notorious extremist groups in the country, according to three people with knowledge of the man’s recent activities....Pretty....Pretty....Sure... he's not a Hillary supporter. This also begs the question is why you're so upset about it? Could it be be one Trumpkin defending another Trumpkin? Sure it can! Sounds like you have first hand experience. How sad. This also begs the question is why you're so upset about it? Could it be be one Trumpkin defending another Trumpkin? Sure it can! Let us start with your first lie - that I am a "Trump worshiper". I've been axing you for weeks to provide any posts of mine that corroborate your claim, and you've yet to come up with even one. avowed neo-Nazi and a member of one of the most notorious extremist groups in the country, according to three people with knowledge of the man’s recent activities....Pretty....Pretty....Sure... he's not a Hillary supporter. .... very .... very .... sure .... that nothing in the article says anything at all to the effect that this perpetrator is a "Trump worshiper". The word 'Trump' appears exactly zero times in the piece. So, two times in one post that you have been caught, irrefutably, lying. Does it never end with you? You really know how to bring on the zingers, don't you, young lady? Your posts speak for themselves. Evidence was presented in preceding post. "very fine people...on both sides" Trump discussing nazi extremist rally in Charlottesville. You know any "very fine" Nazis? Over and over, I keep axing for evidence. Over and over, I keep getting nothing but lies. It's a long established fact here that you don't read what is posted. The evidence is clear,you just refuse to examine it. Other that you once saying that wish your hero Trump wouldn't tweet so much,can you point to any actual criticism of your fuehrer,oops I mean hero? Believe me, I read what is posted. And that is how I know, beyond the shadow of a doubt, that you have posted no evidence whatsoever. It's not up to me to disprove your ridiculous claims - it is up to you to substantiate them. That is how it works. But, since I don't want to make you cry any more than you have been, here's a little something for you, Doll. Congrats,Enjoy it while you can. Of course people were upset. We thought Hillary would win and she didn't. I was certain she was going to win. I thought that, at most, it was going to be close. Never expected this. Can't say that I'm shocked. Just surprised. But this is what happens when the Democrats sacrifice their base (Bernie) in favor of a deeply unpopular candidate. Roughly 5 1/2 Million Democrats didn't show up. According to Michael Moore, 90,000 voters in Michigan voted but didn't select a candidate for President. That's just an amazing stat, if it's accurate. Based on his behavior during the campaign, I thought he was his own worst enemy. It remains to be seen how he will perform once he actually has to begin governing. That's rich. On top of that you're using the exact same words that your hero does when he lies. "Believe Me". Do you have a ridiculous orange comb-over too? It's not up to me to disprove your ridiculous claims - it is up to you to substantiate them. That is how it works. That's the best you can do? That doesn't even pass the smell test. Any criticism when he referred to Nazis in Charlottesville as "very fine people"? You do realize, do you not, that repeating the same lie again and again does not make it true? That's the best you can do? That doesn't even pass the smell test. I have no test to pass, as I have already passed them all; now it is up to you to substantiate your claims. Once again when faced with the truth Trumpkin resorts to his standard playbook. How sad. You have presented no evidence - none. The only "truth" I have been faced with is the truth that you cannot substantiate your claims. Even one post showing my alleged "Trump worship" would be nice, but you can't even manage that simple task, can you, Rachel? On a related issue that once again stands out here. Why do you hate women and think less of them? Your nonsensical pathological habit of calling me female names shows a deep seated bias towards women as if they're less than you. I don't hate women at all - unlike you, I like them very much. Uh huh.....then perhaps you can explain this little gem you posted next when you got bent out of shape because Oscar foreign language film nominees decried fanaticism in U.S. Exact same term that your racist hero Trump just recently used. Coincidence? I think not! 2 peas in a pod. Finally we have indisputable proof that you're bent out of shape when people point out fanaticism AKA the Trump Administration and you truly are a Trump worshiping racist. Exact same term that your racist hero Trump just recently used. Coincidence? I think not! 2 peas in a pod. Finally we have indisputable proof that you're bent out of shape when people point out fanaticism AKA the Trump Administration and you truly are a Trump worshiping racist. Actually, you have proof of absolutely nothing. I've been waiting for even one post that displays my alleged "Trump worship". But you can't even find something as simple as that, can you? Calling All Trump Worshiping Racists!!! 2017 was a banner year for white supremacists. The Anti-Defamation League’s Center for Extremism reports that right-wing extremists were responsible for 71 percent of all extremist-related deaths in the U.S. last year. 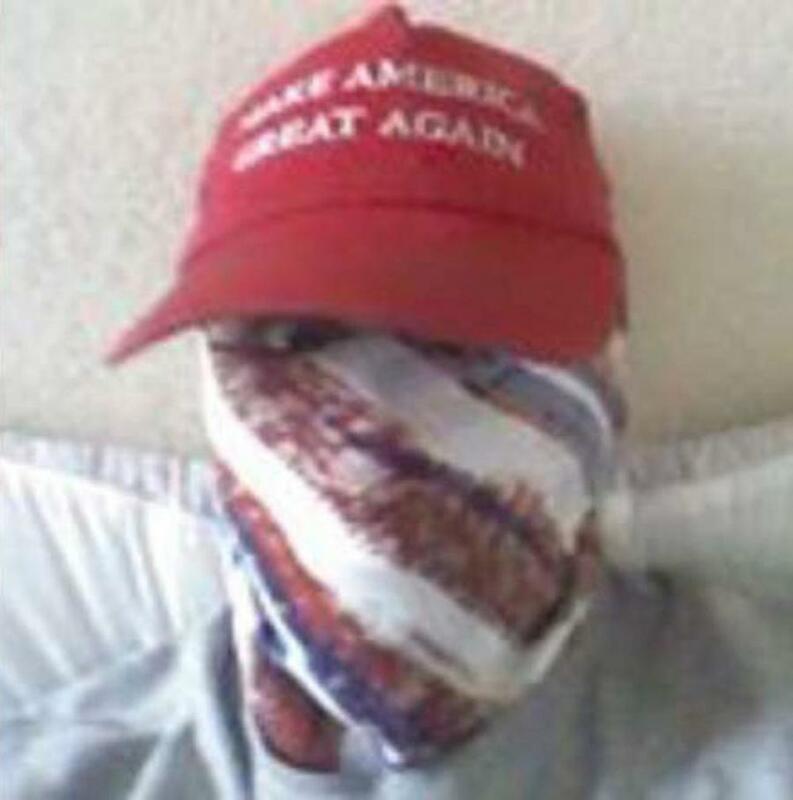 Of the 34 extremist-related murders, most (18) were committed by white supremacists, including the death of Richard W. Collins III, a Bowie State University student killed hours before his graduation by Sean Urbanski, and the fatal stabbing of two people by Jeremy Christian during a racist rant aboard a Portland train. Despite the hype of conservatives around the country, many of last year’s nominees failed miserably. Black Lives Matter, a group that many whites want so badly to be considered a terrorist organization, failed to kill a single individual in 2017, as it has during every year of its existence. Antifa, which President Donald Trump condemned as one of the groups in Charlottesville, Va., that had very bad people “on both sides,” did not cause a death last year. More tragically, the Anti-Defamation League could not find anyone who died or was even critically injured by a professional football player who kneeled during the national anthem. To be fair, the ADL did find two incidents of extremism by the mythical “black supremacist” movement. In April, Kori Muhammad went on a shooting spree in Fresno, Calif. Muhammad’s father said that he was trying to start a war between black and whites. The next month, Derick Lamont Brown, the former chairman of the New Black Panther Party, shot and killed his father before killing himself. That’s it. That’s the complete list of terrorism by the “black identity extremists” the FBI warned you about. But this award is not about the black guys. This award is about the accomplishments of white people, because they always reach for the stars ... and their guns. Mostly their guns, but I assume they think about stars at least some of the time. So clap your hands for white supremacy, for winning the Domestic Terror Championship once again. We applaud all-stars like David Atchinson, who disguised himself as a student to shoot up an Aztec, N.M., high school. We salute standouts like James Alex Fields Jr., who drove through a hate rally and mored down Heather Heyer. And James Harris Jackson, who traveled all the way to New York City to stab a homeless man to death. You’re going to Disney World hell!